Six of the highest-selling prescription medications in the United States will be “off-patent” before the end of 2012. The costs associated with those currently pricey meds will drop faster than the Dow on a bad day. Here's one example: The generic form of Lipitor might cost as little as $10 per month, compared to the $150 it can cost now. Yowza! It's a very big deal even if you have health insurance. The average co-pay for a generic formula in the U.S. is $6, as opposed to $24 for non-generics with “preferred status” and $35 for non-preferred brand. That doesn't help much if you use a medication not afforded rock-star status by your insurer — or, worse, if you can't afford insurance. As welcome as these new generic formulas will be, you needn't wait around for prices to tumble. There's more than one way to cut the cost of medications. Plenty of generics already exist. Doctors sometimes prescribe the designer drugs out of habit, but maybe 10 days' worth of penicillin would vanquish that upper-respiratory infection just as well as a pricier antibiotic. Speak up, already: Explain that you're on a tight budget and in the market for a just-as-good-but-cheaper formula. Taking maintenance meds? You can pay as little as $4 for a month's worth of pills at places like Target, Wal-Mart and Safeway. Visit store websites to find which drugs are available, then ask your doctor which ones will work for what ails you. Note that while generics generally perform as well as the pricier pills, a few of them might not. If your doctor is adamant about your staying with the name-brand stuff, there might be a good reason. Of course, it wouldn't hurt to seek a second opinion. Walgreens has a “Prescription Savings Club” whose $35 annual fee gets you and your immediate family discounts on more than 8,000 different meds. Of those, more than 400 generics are available for $12 for a 90-day supply. Once you've gotten a prescription established, either by bringing it in or having your doctor phone/fax it in, you can refill over the phone or online. The store might even offer free shipping. Ask. And speaking of the Internet: Sites like Drugstore.com sell prescription medications, as do online pharmacies such as Caremark and Medco Health Solutions Inc. Caution: The National Association of Boards of Pharmacy recently issued a public health alert about fake online pharmacies, noting that 96% did not comply with U.S. pharmacy laws. 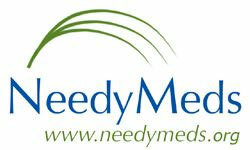 The organization recommends buying only from verified internet pharmacy practice sites. You might not have to pay for meds at all. Once that strep throat is diagnosed, ask if the doc has any drug samples. Pharmaceutical reps drop off boxes of free meds along with those fabulous calendars, pens and tote bags. Your doctor might reserve these drugs for desperately broke patients — but maybe that's you. It can't hurt to ask. Tip: Some drugs, such as prenatal vitamins and certain antibiotics, are free at Top Foods, Meijer and Publix supermarkets. If you're living on a very low income, you might qualify for free medications through patient assistance programs offered by most pharmaceutical companies. Groups such as NeedyMeds, the Partnership for Prescription Assistance, the Chronic Disease Fund and HealthFinder.gov can tell you more. Several drug companies also joined forces to create the Together Rx Access Program, designed for people under the age of 65 who have no prescription drug coverage. This free, income-based program makes it possible to save 25% to 40% on more than 300 medicines and medical products, and is accepted in most major pharmacies in the United States and Puerto Rico. If the subject is painkillers, you might not need the 20-count dose on the prescription. Ask if you can fill only a few tablets' worth at a time. Use good judgment on this one, obviously, but I've filled pain prescriptions in the past and used only one or two tabs. Infuriating. You can cut the price of certain meds in half quite literally, by splitting the pills. For example, if you have a 10-mg drug prescription request a 20-mg tablet (the cost is often about the same) and then use a pill splitter to halve the dose. The gadget can be had for as little as $3 on Amazon.com, which means it'll probably pay for itself the first time you use it. Caution: Do not cut pills with a paring knife. The dose has to be exact, not almost half. Spring for the pill-splitter now or for an ambulance co-pay later. Your choice. Again, splitting works only on certain medications. Or what about bulk discounts? No, you won't be asking for 50 pounds of Percodan — you'll be using the power of group buying by getting your meds at Costco or Sam's Club. You don't need to be a member to use the pharmacies in those warehouse clubs. Pharmacies now bid for your business the way travel agencies and insurance companies do. In his new book, Living Large in Lean Times: 250+ Ways to Buy Smarter, Spend Smarter and Save Money, frugal dude Clark Howard suggests a service called BidRx.com. You register and post the drug you need, and independent pharmacies will instantly throw bids at you. The site is free but you need a referral code to register. The author has his own code, clark, but stresses that he receives zero compensation. BidRx simply set it up after Howard's mention of the site caused a leap in business. Brick-and-mortar pharmacies often lure us with gift cards cards for new or transferred prescriptions. Any time you see such offers, clip them out and put them in your wallet. When your spouse gets bronchitis or your daughter breaks her arm during hockey practice, head for the pharmacy with the best signing bonus. Obviously it's important to tell the new place about any other meds being taken. One would hope the pharmacist would ask, but maybe s/he won't. I've dropped off ‘scripts and been asked only if I were allergic to any medications, not whether I was on another pill that would clash with the new meds. That's why some people don't think it's safe to hop from pharmacy to pharmacy. If this makes you uncomfortable, then don't do it. But back when my health insurance didn't include discounted drugs, I filled and transferred prescriptions whenever I could get a gift card. It was a nice budget-booster, whether I used the cards for groceries or gewgaws. Here's my favorite example. Before a minor health procedure I needed to get two tablets of a tranquilizer (pre-surgery) and an antibiotic (post-procedure). Both were generic and therefore super-cheap, and they earned me a $10 from Target and a $20 gift card from Walgreens. I used part of the Walgreens card for a special offer: Buy four 12-packs of Diet Pepsi for $10 and then get a $10 rebate. At that time I happened to have coupons for two free 12-packs, which I'd received after calling Pepsi to complain about the tabs snapping off some cans of soda. Thus I wound up paying just $5 for the soft drinks but still getting the $10 rebate. And in fact, I didn't even pay the $5. I had the gift card, remember? Please refer to me by my Latin name, illegitimus frugalis. And yes, I know that diet soda isn't good for me. But I didn't care — I was on Valium! There are 92 reader responses to "How to Get Cheap Drugs". Well done Donna for pointing out that some of these tips won’t work for some meds. You may be given that pricey antibiotic because your bug is susceptible to it, and so you’ll not need to be on it as long, or it will work when others don’t. In a *very* few cases, it’s important to stick with a given formulation, so you may have to stay on non-generic even if a generic is available (epilepsy drugs are the most common class where this may be true). Splitting pills is not always safe if there are special coatings, or the dosage is really sensitive. The best person to answer these questions may actually be a pharmacist, not a doctor (although a doc should be able to). Don’t be afraid to ask your pharmacist for advice. With regards to the pharmacy-hopping, why not make a list of all the meds you take? It will mean that neither you or they forget one, whether they are your regular guy, or the one offering the best discount. I have a list on a piece of card that I keep in my wallet, with all the names and dosages. Useful for when I want to buy some remedy over the counter and check it will be safe – even more useful when I get sick and see an emergency doc. My brain is usually not up to remembering 5 x 4-syllable drugs + dosages, and not getting them confused with the stuff I took last year! Every doc I’ve ever shown it to has commented on what a good idea it is. Mine also has things like my allergies, next of kin etc on it, so if I was unconscious, it could be used to ID me and give me the right treatment. Fortunately I dont have a medical need that requires a prescription but I have been shocked at how much doctors push prescriptions. I went to the doc for some health issues that won’t go away. Turns out I am very healthy and they are all stress related. The doctor offered three different prescriptions to address symptoms all of which can also be treated for free through more sleep, exercise and diaphragmatic breathing (I sometimes get mild panic attacks). Not once did the doctor talk about addressing the source if the symptoms. I think this is emblematic of the US healthcare system. Precisely. Everyone is crying about the cost of healthcare in this country, yet we’re cutting funding for so many preventative programs. An ounce of prevention is worth a pound of cure, and it’s as true for general public health as it is for each of individually. I would like this 100 times if I could. Good points, but I’d suggest people talk to the pharmacist before pill splitting. A lot of pills are coated for a reason! There are things you don’t want touching your esophagus or spilling into your stomach too soon — especially anti- inflammatory medications like ASA or time released medication. Having been in this position, I would check both online sources AND talk to a real person. I did mention that you should talk to the doctor before splitting pills. I would *never* advise that people just decide to tamper with their medications. Alternatively, you could move to somewhere in Europe. I just moved to Europe, and I still pay for my meds :). And in some (nongeneric) cases, quite a bit! Generics CAN have weird fillers or other ingredients than can trigger sensitivities and/or allergies, but they can be hard to trace (happened to my husband with one of his medications; once he went back on the non-generic, the side effects cleared up). I just moved to Europe, and I don’t pay. Even if I did, I can afford it thanks to no more $1500/month health insurance bills. Also do your research on brand-name versus generic if you are taking a time-release formula. Generics are required to contain the same active ingredient in the same dose as the name brand, but independent lab testing has shown that time-release profiles of generics can be off by as much as four hours – not good if your pain med wears off early or if you get best results by having consistent drug levels in your system. Some people may also have certain sensitivities to the inactive ingredients in a pill, which vary from brand name to generics. Good point about the sensitivities! One of my drugs was taken off the market (CFC inhaler), and the replacement (CFC-free) was non-generic. I wasn’t allergic to it, but one of the propellants made me cough – not good with an inhaler! I was switched to a different type that worked, was CFC-free, didn’t make me cough, and was generic. Win-win-win-win! Generic Wellbutrin XL doesn’t work in half of people, including me. Don’t get hung up on saving money at the expense of your health. While the insurance company would love it if you would commit suicide, your family probably wouldn’t. Yes, that is one of the extended-release drugs that has a particularly high release profile variance between the name brand and the generic. I think it’s also the first one where they realized that there could be huge variances in time-release profiles. YES! I was on Welbutrin, then was switched to the generic. When I complained that the generic just wasn’t working as well, I was having weird mood swings, and times of “high” and “low” energy that didn’t feel natural, my doctor shrugged me off. I eventually quit taking it, even though while on the name brand, I felt wonderful and had energy for the first time in my life since elementary school. I recently found a new doctor, and after hearing my story, told me that the time release mechanism in the name brand is very different from anything you can get in generic. It allows a very steady, constant stream of medication, which the generics can’t always do. My takeaway from this – generics can be a GREAT way to save money, but always ASK what the difference is, and don’t be afraid to speak up if you’re having an issue with your medications. Recently I wrote an article on my blog on similar subject, what to do when you don’t have health insurance. Can’t help but giving out the link. If it helps some of your readers JD, and increase my visitor count for the day, here it is. Great post, Donna! I passed this information on to my boyfriend, who is currently going back to school and doesn’t have great prescription coverage. On one of the sites I was able to find a coupon for one of his medications…awesome! If you can’t get a generic version, go to the drug company’s website. My copay every month is cut to 1/6 of what it normally wld be and those companies will often give you more money if your copay is higher/you don’t have health insurance. Coupons, why did I never think of that? I’ve been paying my $25 copay (and grumbling) when their website had a coupon for $15 off each prescription. Hopefully it’ll work out. From what I have tried to read/understand from the fine print…it seems like it will work out. Have anyone tried using a coupon with an existing scrip? Note to the DIY pre-colonoscopy kit: If it doesn’t work properly, you may end up having to re-do the colonoscopy- the cost risk of this is probably great enough to offset the cost of the Rx. Additionally, I would be hesitant to concoct my own strong laxative without knowing what side effects it may induce. Doctors also often have these coupons as well. My son uses 3 different asthma medications. A 5-minute google search saved me $105 ($50, $40 and $15 off the copay). Most of the coupons stay on file, so you don’t have to bring them every time you refill. 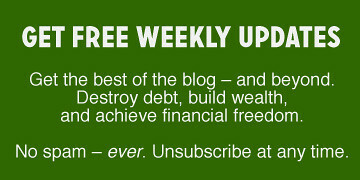 This is one of the most useful frugal articles I have read in a long time. Usually you just see more of the same “skip the cup of coffee” and “use extreme couponing” to save money. I will admit to being a brand name snob before meeting my wife. Now I realize that basic generic acetaminophen will work just as good as the 3x-the-price Tylenol. Another good tip is to always check the actual cost of the prescription you’re filling. I had always filled a prescription directly at the Kaiser pharmacy and paid the cost of my co-pay every time. It turns out that the prescription cost was actually $10 cheaper than the co-pay which I found out after having the prescription filled at Target rather than Kaiser. I always ask. The pharmacy technicians will tell you. Another good Kaiser tip is to buy your OTC pharmacy items there, it’s usually cheaper and you don’t need to schlep coupons. Wow, sounds like you were getting ripped off by the first pharmacy. My insurance (and it sounds like yours does too) specifically states that it is either the copay or the cost of the medicine if the medicine is cheaper. ALSO – be wary of the “$4 prescription” claims from Wal-Mart and Target. That $4 cost is based on a very specific amount of pills, NOT based on how many months of pills you are getting. Example: my doctor prescribed a one month’s supply of a drug at 60 pills. This was a VERY cheap drug & I took it to Target. They charged me $8 because they considered a one-month supply to be 30 pills, not 60. Yeah, I got a $10 gift card from the transaction, but I paid $5 more than I would have at another pharmacy (I found out later that my grocery store’s pharmacy would have filled it for $3). Moral of the story: if your insurance company has a tool that you can use to look up a drug’s cost at different pharmacies…USE IT! Consumer Reports found wide variance among drug costs, even among stores in the same chain. It pays to do some price-checking, for sure. I’d be leery to do something like this if it was not just affecting your digestive system though, and this is by no means a medical recommendation. It was just nice to see someone thinking outside of the box! Here in Canada, the colon prep for a colonoscopy already costs less than $10. Drug companies aren’t allowed to advertise publicly here and I think that really cuts down on their costs. On the note of free antibiotics, since I’ve only heard of one of those regional grocery chains. . . Giant (Mid Atlantic regional chain) and Safeway (national-ish) also do free antibiotics. And damn, do I ever miss Meijer. Seriously. I moved from the midwest to the east coast, and every time I go back home I have to wander through Meijer for at least an hour. And buy some real gingerale. You know the stuff that is good for what ails you. The most script-pushy doctor I’ve had was able to give me free samples. My current doc does not take free samples (or pens or anything else). I think I prefer the no-sales approach when I visit. This article made me think though – I would probably feel very differently if I had to pay for my meds. A helpful article – however, for those that are relatively healthy, the biggest costs come from birth control (women). This is usually not easily available, cheap, or something you can change (too many side effects, once you find something that works, most stay with it). Some companies do have coupons, but only for a certain number (basically, until you are hooked), so it won’t work long term. Additionally, long term on these can be 30 years and that can add up quickly. What are thoughts on using a Canadian pharmacy if you are in the US? Some of them will ship and require a prescription…has anyone tried this? What did you tell your doctor? @Megan, I’m in the same boat on birth control. What works for me is years away from going generic, so it can be pricey. Shouldn’t this problem be going away though (at least for women with insurance) when birth control is fully covered in the US? Unfortunately, some health insurance plans can still not cover birth control due to a “grandfather” clause. Many oral contraceptives are available generic (including Yaz, Seasonale, etc) which saves some on the price. Have you tried going to Planned Parenthood? They offer reduced price birth control. If starting out on birth control for the first time, I would recommend asking your doctor for a generic birth control. Samples and drug vouchers just make it more difficult to switch to a cheaper drug later. I wish I’d thought to include Planned Parenthood. You can get care on a sliding scale fee. Thanks for bringing it up, Heather. Try Planned Parenthood. I have taken prescriptions from my regular doctor there to be filled. The birth control is much cheaper that way. Check out your prescription company’s pricing on mail-order. Through mail-order, I can get oral contraceptives for $24 for 3 months’ worth. Thanks for the article Clare, I can’t wait for August 2012! Yes, Canadian pharmacies can be great. Even the generic of mine was $38 at Walgreens in the US (and no, my insurance at the time did not cover it). From Canadian pharmacies in the $10-12 range (including shipping). I’ve also occasionally bought it from Mexico. Super cheap and made where? The UK. Yes, the thing I bought directly from Mexico was made in the UK. This was the first post in awhile that I found really helpful. My financial issues have always been medical, I graduated from college with zero student loan debt and enormous medical bills. I was diagnosed with rheumatoid arthritis at 19 when I was still deciding what my major should be. Fast forward to 23, I finally get my first “grown up” job with insurance that will cover the Humira and later, Enbrel. However now there’s talk of layoffs at work and while everyone worries about paying their car I’m worried about struggling with the medical bills again. An emergency fund will only get you so far when you need medicine that is nearly $2000 a month. Thankfully there are three programs to help cover the costs of Enbrel (according to needymeds.org) so that’s a relief. Worse case scenario I can save my emergency fund for bills and food just like everyone else, instead of depleting it in 1/3 the time thanks to Enbrel. I would suggest that you not be an early adopter of the generic Enbrel. I would be absolutely amazed if it was as good as the brand name,and the life-long joint damage that you could end up with in the highly likely case that I am right could be crippling. My Dad suffers from RA. He is still working and in his 50s. He was able to contact the makers of Enbrel and they sent him a card reducing his co-pay to $5.00. You might want to check into this. We’ve had great luck with Costco.com for my father-in-law’s meds. He has Parkinson’s disease, and his one non-generic med has put him in the Medicare donut-hole for the year. The pharmacist at Costco called his neurologist to work out what was the most cost-effective way to write his prescriptions. You can also speak to a live person easily when you call to ask questions; there isn’t a confusing phone menu to go through. You don’t have to be a Costco member to buy prescriptions through their website, which was an added bonus, since my in-laws don’t live close to a Costco and wouldn’t be able to shop in the store anyway. I highly recommend Costco to people with no prescription coverage or who use up their the Medicare coverage quickly. I’ve found that Costco is the cheapest place to get OTC drugs, including online sites (Amazon, Drugstore.com, etc), but you do need the membership. For what I take, CostCo’s price on the brand name is cheaper than the Target generic store brand. The prices at Costco in-store and CostCo.com are basically the same, except CostCo.com tacks on $11 shipping so it’s worth it to get to a store if you can. I take a daily pill that became over-the-counter, so now my insurance won’t cover it. They were 22 cents a pill for generic under insurance, now the generic store OTC brand is 56 cents a pill. It doesn’t sound like much more per pill, but that’s an extra $124 per year on one medication. The Costco price on the brand name is 39 cents a pill, so that saves me $62 over the Target brand. The $50 membership fee already paid for itself. Yes, Sam’s Club is the cheapest place I can find omeprazole (generic for Prilosec). I’m not a member of other warehouse clubs so can’t comment on those. Prescription charges in the UK are more than they used to be and chronic conditions can be expensive, however #17 above makes me sad. In the UK all female contraception provided by doctors/nurses is free to anyone including different types of pills, diaphragms, injections and emergency contraception. The NHS seems to have figured out that it’s cheaper to subsidise contraception than childrearing, and I have to agree! I think access to affordable contraception should be a basic part of a modern society and it’s concerning that lower income women (particularly young women in education who are not yet earning) might have to choose between buying for contraception and the other necessities of life. For anyone in the UK with a chronic condition, look into whether a “season ticket” (aka pre-payment certificate) will save you money. You pay a set amount up-front and they send you a little card that gets you free scrips for the time period. I always get a yearly one, with the number of meds I’m on, it’s a no-brainer, but lots of people seem not to know about it as an option. Plus, contraceptive medications can have other applications. If you have issues with your menstrual cycle (irregular, it disappears, massive cramping/PMS, endometriosis etc), you can often treat them with a hormonal birth control prescription. This seems to be the thing most people forget (or don’t know) when they advocate to restrict contraceptive coverage altogether based on religious reasons. I totally agree. My sister used to have terrible cramping with her periods and went on the pill and it helped a lot. I’ll give another example of why contraceptives are useful. My roommate in college was a nontraditional student who was in her mid 40’s. She got the birth control shot from the health center because getting pregnant at that age could lead to complications. I can’t stand people who act like there is never an acceptable reason for people to use birth control. Like there aren’t enough children in foster care or parents having kids they didn’t really want in the first place. @Megan, for birth control you might just need to research the method you are using. Natural Family Planning is usually free or inexpensive. Also the herb of Queen Annes Lace is free for the picking in many areas. You might want to do some resesarch on this option. I’m sure you’ve probably already heard the joke. What do you call people who practice Natural Family Planning? Parents. Aside from the preventing pregnancy, many hormonal contraceptives can help women with other issues related to menstruation and their reproductive organs. Having access to affordable contraception is not just about preventing unwanted babies. But thank you for presenting another perspective even if it isn’t what most would choose to follow. Jokes aside, not all “natural family planning” is equal. I think all women should read Taking Charge of Your Fertility by Toni Weschler, MPH (http://www.tcoyf.com/) Whether or not a women chooses to use it to avoid or achieve a pregnancy, it is fascinating to learn what is really going on throughout our cycles, and what most girls and women are never taught. Thanks for the thought. I don’t use it for family planning exclusively though, it helps with pain, being regular, and other things like that. I have tried several options and the one I use now is best for me in terms of side effects. It also allows me to skip. However, cost is a factor and my type is $980 a year – even with being “subsidized” by the school, that means $480 a year I have to spend right now since school insurance won’t give me a lower copay on BC and I don’t have any real insurance. In my state, NY, there is a drug discount card for people between 50-65 who do not have any kind of health insurance (including medicaid) who have limited incomes. https://nyprescriptionsaver.fhsc.com/. The online sign up process is a breeze, you get a card in a few days, and even though my prescription med had came off patent, the generic cost $100 for 30 days. Ouch! With the NYS card, that $100 turned into $14. And as others have said, the drug companies seem eager and willing to help as well, especially when their drugs come off patent. They still want you to take their drug, not the generic, and there may be reasons for that for some people with some medications. There may be other government or private programs available without age limitations as well; I just happen to find this one and I fit the profile. One thing to watch for is that many drug companies, as their drugs go generic (often before they do), come out with “new” and “improved” versions (different dosing, longer time release, slight change of active ingredient proportions, etc) – that are *not* generic. So be appropriately skeptical if your health care professional tries to ‘upgrade’ you to a new version. In some cases the new version might be the best thing for you; in many it will simply shift you to a drug that has no generic. Worth thinking about and researching rather than just saying yes automatically to the new version. As a pharmacist, I agree with many of the points in this article–especially using generic drugs. Pill-splitting can save money, but always check with your pharmacist before doing so. However, I disagree with encouraging “poly pharmacy” where patients have meds at multiple pharmacies. For people without meds for chronic conditions, it may not be a big deal, but most people concerned about drug costs are on many medications. Even if you do give your pharmacist an accurate list (which rarely happens), the pharmacy’s computer software will not flag drug interactions or duplications. Trasferring scripts between pharmacies multiple times is sometimes illegal (controlled substances) and increases risk of error with each transfer. Also, if you wind up in the hospital, getting all your prescriptions at one local pharmacy makes it easy to keep you on the right meds in the hospital. Just one phone call to your pharmacist will help the hospital staff and prevent errors. Regardless, it’s best to have a list of all your meds (dose, frequency, pharmacy, date filled) updated and available to family members if needed. Finally, if your drugs are too expensive, ask your pharmacist for suggestions. Your drug may not have a generic, but a similar one will. I’m willing to call doctors to get new prescription to save a patient money (if they are repeat customers). Sometimes an over-the-counter drug would work just as well and be cheaper. The last time I was in the hospital they switched my meds willy-nilly from one brand to another. I tried to protest but they didn’t care. I would have loved to be able to just bring my own meds and saved a whole bunch of money. In fact, I did have my husband sneak some in. It was the hospital pharmacy’s lack of professionalism that was appalling. The accrediting bodies for hospitals prohibit patients from keeping meds at their bedside. Meds procured from the hospital pharmacy often are barcoded for safety and checked for interactions. In an acute care setting, doctors need to know what meds you are on. Just because a different brand or drug is used does not mean that your safety is being compromised. These substitutions are based on medical evidence and require review by multiple physicians and pharmacists before being put in place. Occasionally hospitals allow home meds to be used by patients with physician approval. However, these meds need to still be administered by nurses. By sneaking meds from home you are compromising your safety. I’ve seen overdoses and serious reactions from this practice. >> I tried to protest but they didn’t care. the pharmacist or doctor changing prescriptions against the patient’s express wishes violates the patient’s right of informed consent. Patients have a right to informed consent even if it is inconvenient to the hospital. Hospital staff may inform, and suggest what they believe is the best treatment, but they may not make decisions for a patient. Though a simple change in medication may seem like a minor issue, informed consent must be central to care, and is critical to doctor-patient trust. As a hospital pharmacist, I believe the use of home meds while hospitalized is often a point of contention. Many think its a cost saving measure while they are hospitalized, but from my point of view it is a safety issue. Barcoding, bedside nursing PDAs, electronic medical administration records and more is the safety net that we pharmacists in hospitals use to prevent medication errors. Many people are unaware of pharmacists working behind the scenes, double checking all the medication orders physicians enter prior to reaching patients. Additionally, it is frequent that physicians need to change dosages of your home medications (if your blood pressure is running low, trust me, you won’t want the full dose of all your blood pressure medications) and having your home meds at a fixed dose makes it harder to accomplish these changes when the pharmacy can easily do such. And often you can resume these medications once you go home. Long story short, hospital pharmacist’s first priority (and probably every patient’s) is to have as safe a stay at the hospital as possible. YES YES YES!!! Listen to the man. There’s a reason you are in a hospital, so your body is not behaving ‘as usual’, so why do you think your drugs usage and interactions would be? Leave the meds to the medical team while in hospital. I had an infection. I was on antibiotics. My doctor changed none of my medications. Could you please explain why they felt they had to change my antidepressant, my hormone replacement pill, and my anti-inflammatory? I appreciate the need for patient safety. Too bad they apparently don’t. And I had the room to myself. Who else might they give my meds to? This article reminds me how big the pharmaceutical industry is. My last drug was an injectable formulation that I was only able to get from a specialty pharmacy mailed to me. The retail cost was $40K annually, though my co-payment was $40/mo. My insurance paid the rest. My current medication isn’t covered by insurance, but fortunately its not patented by any drug company (because they would not be able to make money) so my retail cost is only $32/mo. There are no generics here since its from a compounding pharmacy who I pay directly. Your health insurance may allow you to order 3 months of maintenance drugs at a time from their preferred online pharmacy. By doing this, I get 1/3 off. Also if brand is important, make sure your doctor checks the box on the prescription pad AND writes out “Brand Necessary”. Just checking the box should be sufficient, but it can be easily overlooked and having it written out makes the doctors intentions clear. Not only does this reduce mix ups when you get it filled, but for some health plans it can alter how a drug is classified (non-preferred to preferred status). For me, that has cut my costs by nearly 50%. My husband works for a large pharmacy, and our health insurance requires us to buy generic meds. We can get name brand meds only if our doctor specifically states that there’s some sort of reaction. Quite frankly, I think generics save lots of money and I’ve never had a reaction to them. Also, I’ve found it extrememly helpful to have a good relationship with a pharmacist—when my kids are sick, sometimes I just take them to the pharmacist and she recommends some OTC drugs or tells me that with a humidifier, the condition will go away. She’s saved me lots of doctor co-pays. And she’s always on top of the latest news—like the fact that 3 Tylenol factories in the US are being overseen by the gov’t because they’ve failed to pass safety regs. Which is why if you want acetominaphen, generic is the way to go right now. I’m a pharmacist with Walgreens and just wanted to clarify the PSC pricing. It is $20 for an individual and $35 for a family. On the majority of generics it gives the best pricing for 90-day meds ($12 as mentioned) but $9.99 on the same drug for 30 day. You might want to compare the PSC price with the normal price at Target or Wal-mart to see if it is worth it. Depending on the drug though, it could give a better price than even the other chains. So if you know this is going to be a drug you will be on for a long time, ask the doc for a 90 day supply with refills. Unfortunately, we at the pharmacy need the doc to approve that in order to bill for 90 days. He can’t just write 30 tabs with 12 refills and you request to change it to 90 days. Insurance no likey come audit time! If you are on Medicare Part D or Tricare (for active or retired military) they also approve 90 day supplies, sometimes at a modest savings. The most important way to reduce your cost of prescription drugs is working with your doctor. Your health should a team (you & doctor) effort. My doctor and I tried various choices before we agreed on one. A patent is good for a decade. Imagine people having to wait 10 years just be able to save some money on medication. I always thought it’s ridiculous that drugs cost this much in this country. Apparently it’s profit before patients! A patent is good for 20 years from the award date. However, getting FDA approval for a drug often eats up half or more of the drug’s patent life, and can cost as much as a billion dollars. A drug company isn’t going to make that investment if a generic manufacturer can make their formulation the day after the drug has been approved. And the majority of drugs never do get approved, so that money invested is totally lost. Most pharmacies will give you a free pill splutter if you ask politely and don’t mind the advertising on it. *splitter. small mobile keyboard and weird autocorrect. Some drugs that require prescriptions in the US do not require them abroad. My $50 prescription was over the counter in both England and France–about 3 euros. Another alternative is if you are a college student and have medical coverage through the school (or if you have kids going to college who have maintenance meds). One of my preferred medications has a $45 copay, monthly dosage. When I was at KU, I could get it for $7/month. It was fantastic. I was a non-traditional student working full-time with insurance through my job. I definitely found it worthwhile to spend a few minutes on the phone to compare prices. I would encourage anyone who is either covered by their school’s pharmacy (if they have one) or who has children going to uni to investigate this possibility. I’ve thought about going to Planned Parenthood to inquire if they have a cheaper way to buy my preferred birth control, but isn’t this more geared towards lower-income patients? I would hate to take up resources that I don’t strictly need, just to save a few bucks on my budget. It seems like you can use insurance if you have it, or just pay without the insurance. Without insurance, they said you should “bring 2 pay stubs from the last 30 days or a bank statement from the last 60 days showing 30 days of activity or W2 from the previous year or a letter on letterhead stating your income for a specific time period or a high school id, report card or current high school class schedule”. I’m pretty sure the pay scale is set-up so if you make more money you pay more and then people who make very little or who are unemployed pay very little or nothing. So, I don’t think you would be taking away from the lower income people. This was when I looked into my (somewhat) local location of Planned Parenthood. I assume it’s the same for all their locations. My insurance company only allows us to buy one months worth of pills at a time if bought at the local pharmacy but we can buy three months supply through a mail pharmacy that I access online or by phone. It is way cheaper to get the three months supply in the mail but I feel bad for the local pharmacy that I am not supporting his business. You have to question why so many people need drugs in the first place. Too many companies have added unnatural substances to food and drinks and the bi-product seems to be more people needing other drugs to compensate. If you stick to more natural ingredients in your food and drink then I am sure people will live healthier and longer – Google Jamie Oliver’s healthy food tips for his views. Trinkets (tote bags, clipboards, pens, etc.) were banned back in 2008. Anything still hanging around your doctor’s office is at least that old, and there won’t be any new stuff coming in. Medication is one thing I won’t spend a ton of time trying to save a few dollars on. I am willing to fund the companies spending money on new medications and indications. Don’t get me wrong, if a generic that works for me exists, I’ll try it, but there’s no way I’m going to order online from another country or violate my doctor’s orders just to save a buck or two. The more people complain and moan about patents, the more pharmaceutical companies have to market to combat that sentiment. Pretty much everything in this country gets patented. It’s absolutely ludicrous to suggest that drug formulations are public property. Sorry to get on the soapbox there, but this has always irked me. If healthcare companies can’t make money, they won’t discover new therapies. Our options are privatization, or government-run/tax-funded research. You beat me to the punch, pads, pens, etc… haven’t been provided by pharma cos for several years. I think the article on the whole is well written, with that exception. Also I do agree that the patent lives for meds are really short. One of the main reasons Rx drugs are so expensive is that the companies have to try and recoup their R&D costs in whatever time is left on the patent. One point about drugs becoming available generically. Don’t expect the cost to drop overnight. Even the first generic formulations may cost as much as the brand for 6 months to a year, until multiple generic drug makers begin to produce that particular drug. Generics work great for me. I buy ONLY generics made by Indian companies for my two prescription drugs that I take daily. I have been taking one for 25 years, and another for 12 years, and I am a walking commercial about using ONLY GENERICS for getting control on ailments AND savings money. Hope people read this and educate themselves on WHO makes your generics (at RxList.com) and then get it written from the doctor with THOSE specific generics. A bit of HW and a lot of LT savings. Alot of times manufacturers offer significant discounts on the medication they make. The is mainly true for brand name drugs. Check the internet for coupons or discounts. There is also a website called therxcoupons.com that has links to many different coupons. For a colonscopy you take a 28 day supply of Miralax at once. That is what the gastroentrologist prescribes. It costs about $15-$20 & you can use the store brand generic of Miralax & it’s about $10. My Dad has had about 10 of these over last 3 years & I’ve done it also.Another thing to think of when doing colonscopy, if you have slow bowel movement times you need to quit eating sooner than they say . Good tips. One thing I didn’t see mentioned in the article or comments. Rx cards (like state Rx discount and Walgreens) can often be used for pets as well. One of my pets is on a very expensive human drug. With the Walgreens program I save hundreds a year. Well worth the annual fee (around $25 I think).